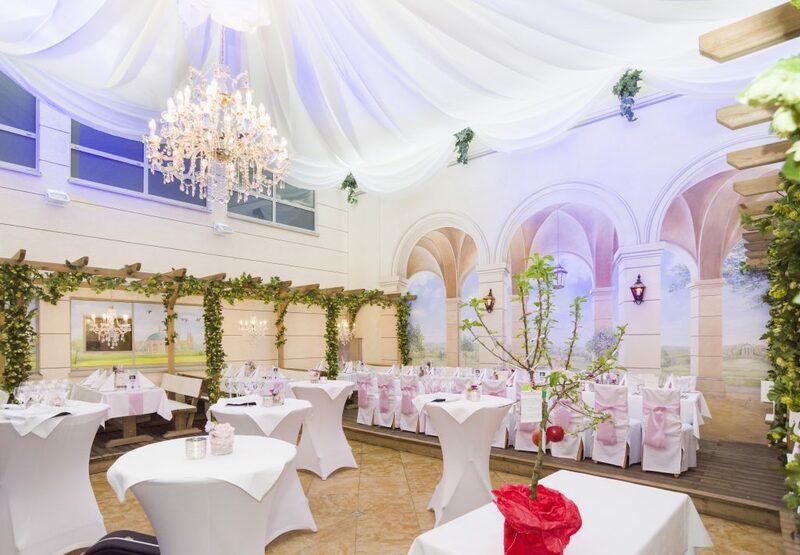 It’s easy to have a great time in our Hofgarten. From balmy summer days to snowy winter evenings, our event space always provides a wonderful experience in the heart of the city. Highlights include the glass dome ceiling (which can be opened up in the summer), the wooden columns decorated with hop motifs, and the welcoming murals on the walls. All of this makes for a joyful, relaxing gathering. 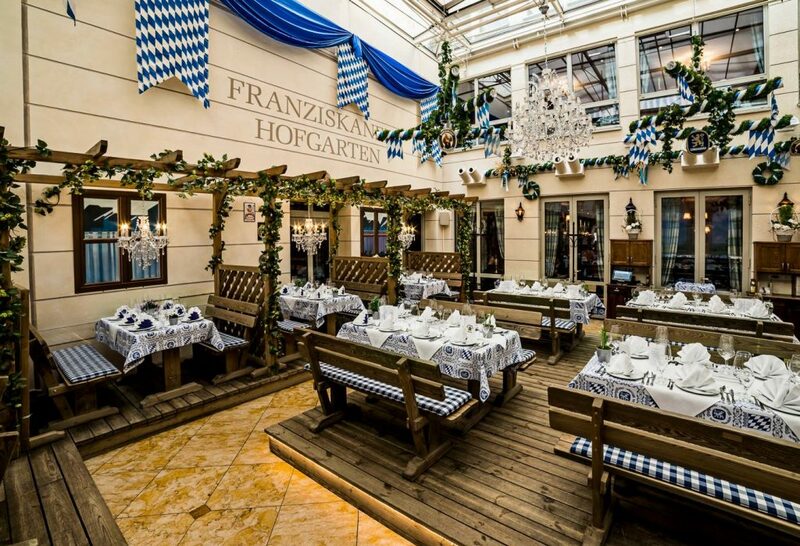 The Franziskaner’s courtyard can accommodate 60 to about 90 guests. The usable floor space measures 97 square meters; with a length of 10.3 meters and width of 9.5, it offers a generous amount of space. This flexible space has already hosted just about any event you could imagine. From a dance floor with a DJ booth and bar to a huge buffet wrapping around the entire hall, not to mention Oktoberfest festivities and birthdays or smaller celebrations. The possibilities are limitless. Give us a call or send us a email; our event-planning team is looking forward to helping you transform your ideas into reality. 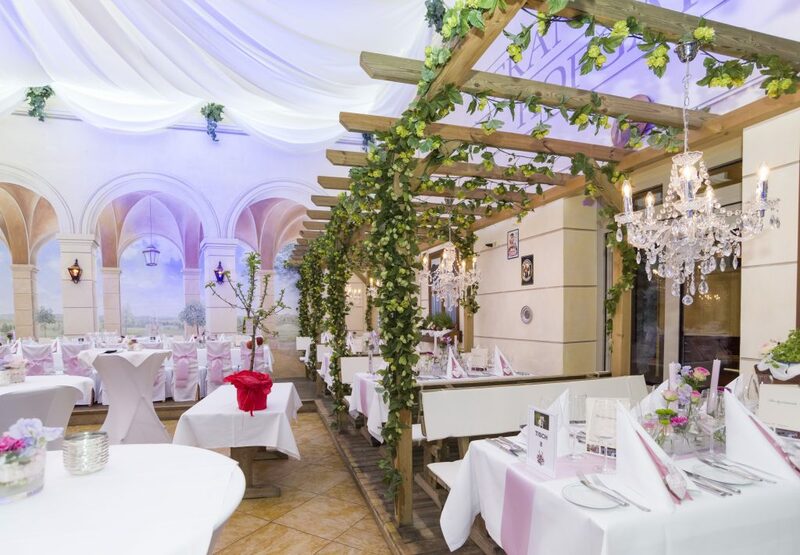 We’d love to receive an email from you at: reservierung@zum-franziskaner.de or call us at: +49 89 23181266.